The Kennet and Avon Canal is a popular navigable waterway crossing Southern England from Bristol to Reading. The gentle pace of the canal has a seductive charm of its own, allowing the opportunity to study the prolific wildlife, which inhabits the canal and the surrounding environment. "Sally Narrowboats provide the best cure for stress… If you say you’re not stressed, book a holiday anyway and you’ll realise how wrong you were!" After a morning or day's cruising, you may have developed a healthy appetite. Satisfying this hunger isn't difficult with a host of waterside pubs available along the canal. Many of these grew up with the canal and thus have interesting stories to tell. Apart from quenching the cruiser's thirst the majority of them serve a variety of good food, ranging from a bar snack to a three course meal. If you are travelling from abroad and would like to stay in a nearby local hotel before collecting your boat, you may like to click here to book a room with the Widbrook Grange Hotel who are located near Sally Narrowboats. 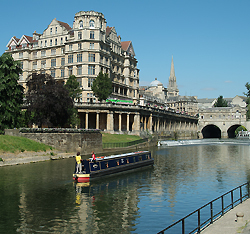 Sally Narrowboats located in Bradford on Avon cater for your ideal canal holiday. 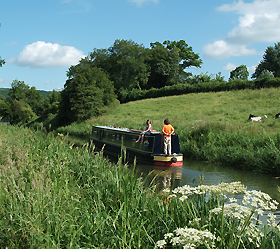 The service we provide, the variety of canal narrow boats and perhaps most importantly the type of holiday we provide allows our guests to select their own pace of activity, which certainly gives the opportunity to unwind in idyllic surroundings, in the rolling Wiltshire, Avon and Berkshire countryside. The table below provides suggested locations to ensure that your journey is as enjoyable as possible. Each location is within acceptable cruising distances depending upon the time available.